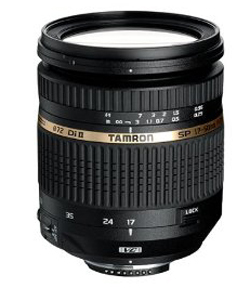 SLR Gear has tested the Tamron 17-50mm f/2.8 XR Di II VC LD Aspherical IF SP AF lens. The lens has improved image stabilization over the previous version and it is able both for Nikon and Canon mounts. SLR Gears find the Tamron lens a pretty good review, but the addition of Vibration Control (image stabilized) has made the lens a bit less sharp. It is still a good lens, but if you are considering buying the Tamron 17-50mm you might consider the non Vibration Control lens if you do not really need the addition of image stabilization. Read the full review of the Tamron 17-50mm f/2.8 XR Di II VC LD Aspherical IF SP AF lens here.